1. 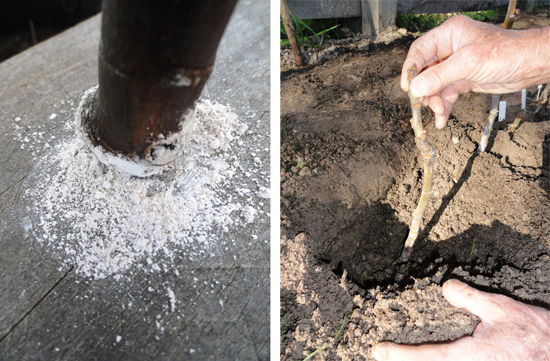 Anton selected cuttings of one year old growth, at least a finger thick and 30-50cm long. 2. 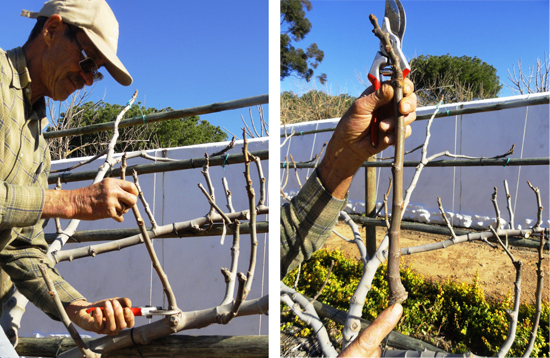 The cuttings with strong, healthy growing tips were cut at the bottom end with a stub of 2 year old wood at the base. 3. Anton dusted the cut end with hormone rooting powder. 4. After preparing a trench in the nursery, Anton placed the prepared cuttings into a sand and compost mix. Only the top third with two buds is visible above ground. 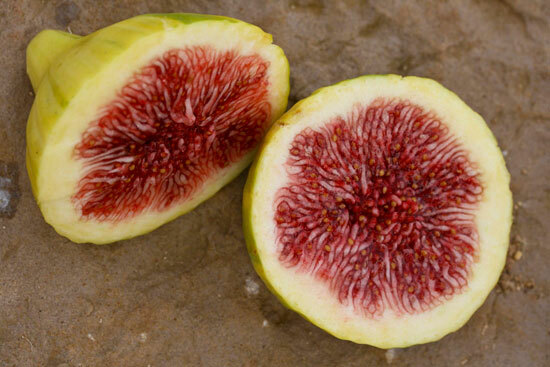 Our fig cuttings are planted close to a tap where it is easy to water them while they root in summer, and so by next winter we shall have many more of our favourite striped yellow and green “Tiger Figs”, which are a striking but not common variety. I’ve let our head gardener know about your interest, and she’ll be in touch. Thanks.